Outlined by bustling retail-based thoroughfares, this neighborhood is surprisingly quiet and suburban for its location. 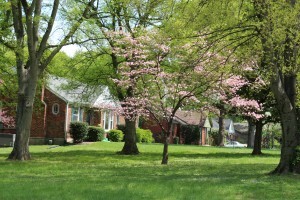 Beautiful greenery and flat lots surround the area’s many cottages and provide a shaded spaces just seconds from some of the city’s favorite shopping and dining. Homes here span the decades with some cottages dating as far back as the turn of the century and newer construction houses dotting the area as well. Within a 5 minute drive, you’ll be able to grab brunch in Berry Hill, enjoy various ethnic cuisines along Thompson and Nolensville, or load up on necessities from the big name retailers on Powell Ave.